Breaking the Bank: 2012 Fishing Year in Review! 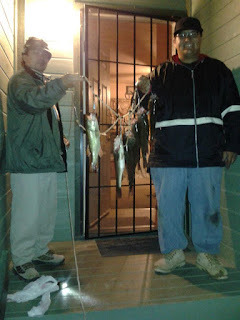 2012 Fishing Year in Review! 2012 was an interesting year for fishing. I say interesting because I got skunked a lot this year! 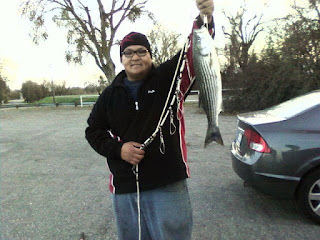 Striper are my favorite fish to catch but for some reason Striper were extremely hard to come by this year. 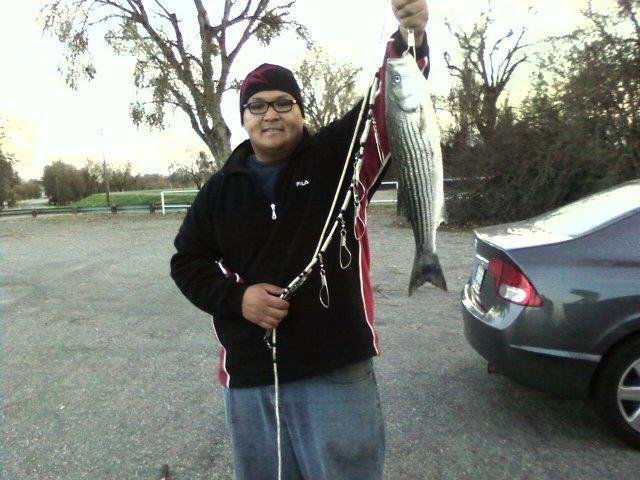 Last year I was catching tons of them. this year even the shakers were hard to catch. The beginning of the year wasn't too bad. I caught a nice 19 in in January and this 22" on Superbowl Sunday. Don't worry, I recorded the big game! 22" isn't a huge striper but it is the biggest I have caught so far. I look forward to beating that record soon and I will try hard this upcoming year. Although striper made themselves scarce for me, their cousins, the Largemouth were available at my disposal. I look back at 2012 as the year that I Really learned to catch Largemouth bass. Prior to this year I had caught Largemouth but without any real tactic or skill. I barely knew any rigs or set ups. This year I learned about soft plastics, about presentation and specific ways to trigger bass strikes. I learned about spawning season and how big those girls get when they are ready to make some babies. spawning season was definitely a great time for Largemouth fishing. This year My dad caught his first Largemouth bass, which was cool because I was able to learn about bass fishing and teach him how to catch them. Really went full circle on that: I taught the man that taught me how to fish! It was during this time that I posted some pictures online and was introduced to Catch and release etiquette. My entire life I had been taught to catch, scale and eat. This year I learned about catch, picture release and I can honestly say that I haven’t kept a larger bass since. I have kept a couple of 15-17 inch for the plate but nothing bigger than that. I let the big ones go and let them grow to catch another year! This year was also a year of firsts for me. Although i failed to catch my first Sturgeon and Salmon, I did succeed at catching a couple of other types of fish.To the right there is a picture of me catching my first crappie. Funny, I have caught a TON of blue gill in my life but had never caught a crappie! Well in my first fishing experience I caught my first crappie. he wasn't a huge fish but a milestone nonetheless! This year I got married! 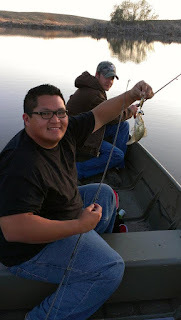 For my Bachelor Party my buddies took me out camping and fishing out at Collins Lake. I researched various methods on how to catch trout which may seem like second nature or common sense to some of you, but when you have never caught a specific type of fish and you know little about them, your methods feel more like wild guesses! 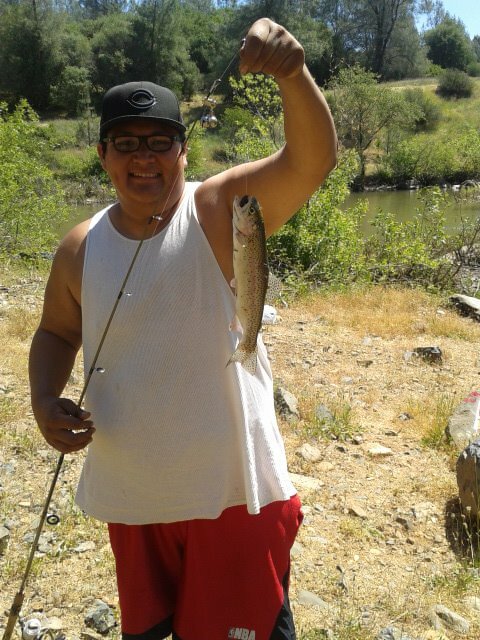 Nonetheless my research paid off and I was able to hook into this nice 12 in Rainbow trout! 7/23 18 in Largemouth Bass, Best fight ever! As I mentioned earlier, this year was a good Largemouth year. 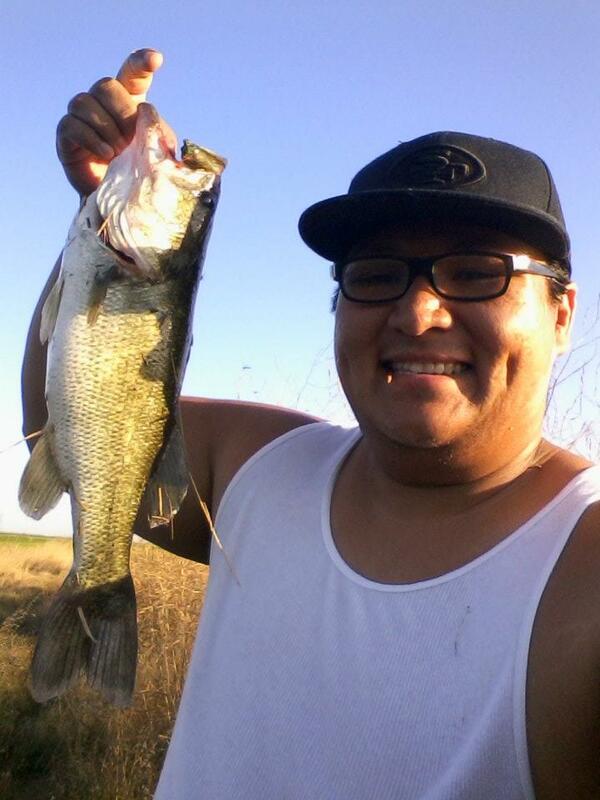 All summer long i hooked into largemouths and really learned why people love catching these bad boys. This specific fish earned the nickname "The Warrior" because of the savage fight that he put up. 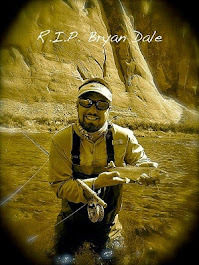 Although he was smaller than some of the other largemouths I have caught, pound for pound he was the strongest fighter. This guy really showed me what a drag system was for when he fought my attempt to reel him in for several minutes before finally landing him. As you can see in the picture, this wasn’t this guys first fight. It certainly wouldn’t be his last as I released him to fight another day. To finish up, This year I learned a bit about moon phases and how fish tend to feed more depending on the phase of the moon. I took these ideas to the fishing hole, not knowing what to expect. Sure enough it turns out that depending on the phase of the moon, fish are more likely to strike your lure. 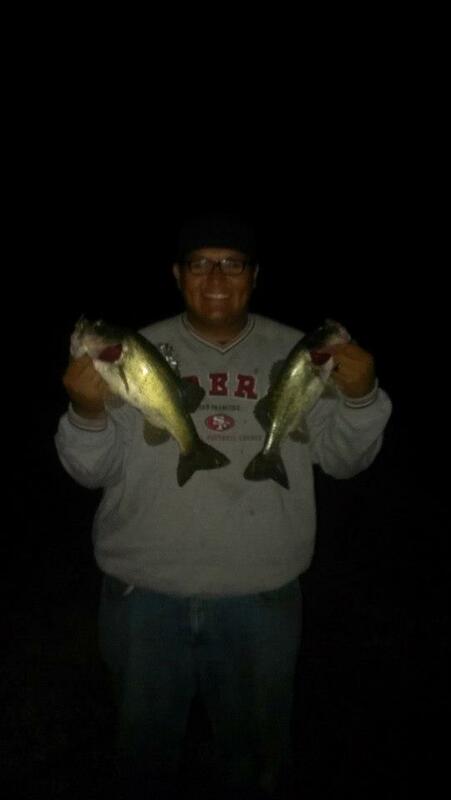 These two largemouths and a third that I released were proof top me that this method worked. In all, it was a decent year of fishing but it could have been better. My hope is that 2013 will bring me more fish and more opportunities to research and learn how to catch fish as opposed to simply depending on luck. As for you, how was your fishing year? Was it a slow or fast year? Learn anything you didn’t know in the past? That’s it for now. I should be getting my fishing license in the next few days and I will be on the waters again! Until then, good luck and break that bank folks! Looks like you know what you're doing. I really liked that stripper pic. That's one species on my catch list. I added you to my blog role, and look forward to seeing more of your fishing adventures. Hey Rick, I know how to catch a few but i'm on a quest to know it all! haha Glad you liked the striper pic. I must say they are my favorite species to catch. I tend to write about them a lot. 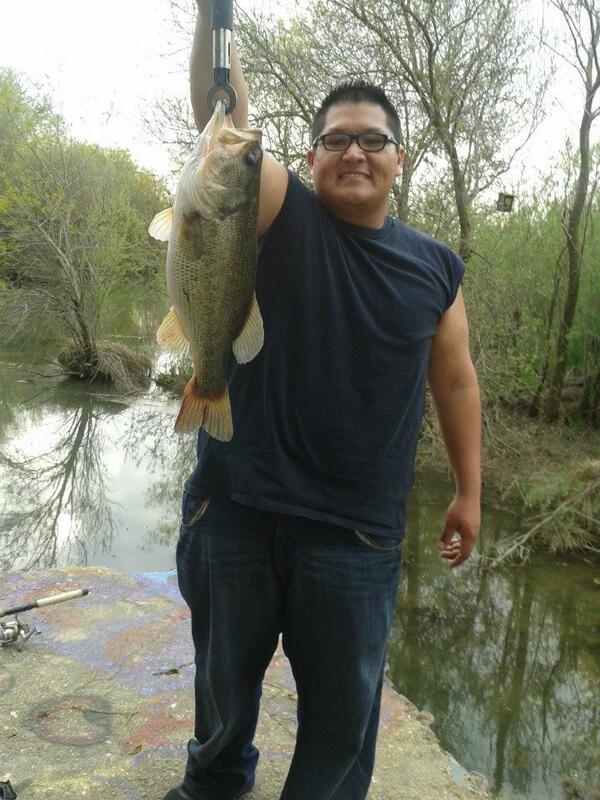 They are the type of fish and fishing that me and my dad tend to bond over. Thanks for reading along, brother!